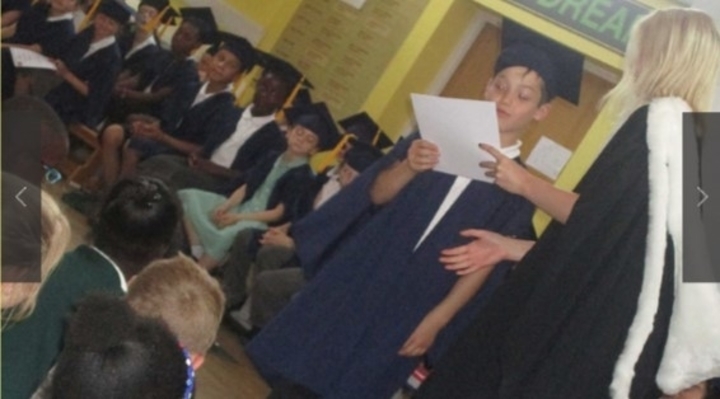 Woodhouse Primary Academy in Birmingham has achieved the Inclusive School Award. Woodhouse Academy is a larger than average Primary School in Quinton, a settled suburb to the west of Birmingham. The school converted to Academy status in 2013, sponsored by ECMAT, based at Wolverhampton University and has subsequently undergone a number of changes which include the appointment of a new Head Teacher in September 2017. The school is full and oversubscribed. The number on roll is 454 pupils. Of these almost a third are white British, the remainder consisting of a variety of ethnically diverse groups among which the most dominant are Indian and black Caribbean children. Around a third of the children have English as an Additional Language of whom about 3% are new to English. Some 18% of the school’s population are on the SEN register with 3% having additional support through EHC plans. The school houses specialist SEN provision for children with autism and was recognised in 2016 as a winner of the Autism (professional) Awards. Children in the specialist provision have flexible teaching, which includes mainstream learning alongside their experience in the “Rainbow” room. The school aims to ensure that as much time as possible is offered within mainstream classes. Ofsted currently recognises the school as providing a good standard of education (July 2015). The school currently meets floor standards in SATS’ outcomes, though leaders acknowledge that the 2017 results had particularly disappointing outcomes and consequently has a number of key priorities for improvement within its Academy Improvement Plan. The school has developed positive inclusive practice for all through a variety of initiatives, systems and processes. Children who attend the specialist provision (for those with autism) have their needs well met by highly competent specialist members of staff and through carefully delivered teaching and learning. These children are well supported and integrated into the broader life of the school where they mix with their friends, integrate into mainstream classes and gain confidence in themselves. Children at Woodhouse are gregarious and enjoy mixing with each other, irrespective of their backgrounds, cultures or beliefs. The rich diversity of the school is among its strengths. The staff team has been developed to bring expertise and to support both children and their families so that every child makes the best progress possible. There remains work in progress for standards to reach the levels aspired to but senior leaders, backed by the ECMAT Trust are determined to bring about strategic improvements for all within the community. Among recent successes are the school’s recognition as an Artsmark gold school, accreditation from the National Autism Professionals Awards and growing successes with participation in the Children’s University initiative. Particular strengths evidenced were the cohesive approach of the dedicated staff team and the seamless support for vulnerable learners including those with autistic tendencies. It was a real pleasure to visit the setting and the assessor left with a number of special memories, among which was the quality of singing evidenced in assembly and in the choir, whose African music left a very special impression. Well done to everyone in the Woodhouse community.